Paul Sorbo Jr. of Wilton was recently initiated into The Honor Society of Phi Kappa Phi, the nation's oldest and most selective all-discipline collegiate honor society. Sorbo was initiated at Pennsylvania State University. 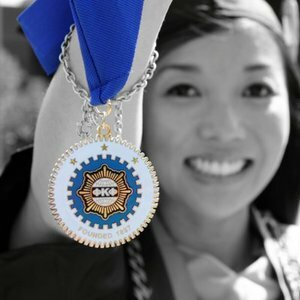 Sorbo is among approximately 30,000 students, faculty, professional staff and alumni to be initiated into Phi Kappa Phi each year. Membership is by invitation only and requires nomination and approval by a chapter. Only the top 10 percent of seniors and 7.5 percent of juniors are eligible for membership. Graduate students in the top 10 percent of the number of candidates for graduate degrees may also qualify, as do faculty, professional staff and alumni who have achieved scholarly distinction.